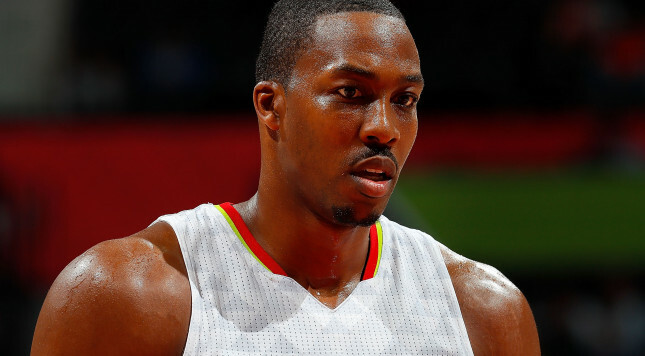 Dwight Howard was signed by the Atlanta Hawks in free agency this past offseason. It was a move that many questioned, especially given the attitude issues that he had with the Houston Rockets. Atlanta’s offseason didn’t go nearly according to plan. They were hoping to re-sign star big man Al Horford, but seeing him sign with the Boston Celtics ended that hope. Signing Howard was an obvious fix for that loss and there is no question that the Hawks are happy with how things went. Last night against the Indiana Pacers, Howard showed just how valuable he can be. He scored 23 points to go along with 20 rebounds and nearly single-handedly deflated the Pacers. Without him on the floor, the outcome could have been very different from the 96-85 win that it was for Atlanta. At 30-years-old, it has become obvious that heading home to Atlanta is exactly what the dominant big man needed. Dwight Howard finishes with 23 points and 20 rebounds. Not only has being in Atlanta helped bring Howard back from a statistical standpoint, but it has also improved his attitude. He has looked happy in a Hawks’ jersey. That is something that couldn’t be said for his time with the Rockets or his one-year stint with the Los Angeles Lakers. Howard has looked like the young kid that took the Orlando Magic by storm. He looks like the energized big man that powered the Magic to an NBA Finals appearance. He looks like a center that has made the Hawks a serious contender in the Eastern Conference. Looking at the Hawks’ roster, there is reason to believe that they can compete with LeBron James and the Cleveland Cavaliers. Paul Millsap is one of the most underrated power forwards in the NBA. He compliments Howard perfectly in the front-court. Millsap is an excellent scorer, but he is also an above average rebounder and is capable of making plays for his teammates as well. Kent Bazemore and Kyle Korver are a dangerous small forward and shooting guard combination. They are both capable of knocking down the three-point shot. Bazemore has also turned into a lockdown perimeter defender. Dennis Schroder is the new starting point guard after the Hawks traded Jeff Teague to the Pacers. He may have some consistency issues, but for the most part he has proven that he is a capable starting point guard. Schroder is a capable scorer and can be a lethal creator for the rest of the team as well. Needless to say, the pieces are in place for the Hawks to make a deep playoff run. That being said, the Hawks are only going to go as far as Howard can take them. There is no question that Howard is the franchise player for the Hawks. He is the face of a franchise that has been searching for a championship for the first time since 1958. Atlanta may not end up competing seriously with the Cavaliers, but Howard gives them a chance to shock the defending champions. Expect to see Howard continue his impressive play and continue improving as the season moves forward. He is happier than he has been in a long time, which has transformed into a rejuvenated career. Evan Massey is a sportswriter that has been in the industry for the past six years. He has seen his work featured on Sports Illustrated, Yahoo! Sports, ESPN and Bleacher Report. Known for his work ethic and ability to cover any league and team, Evan is always willing to talk sports with fans and debate any topic. Follow him on Twitter at @Massey_Evan, or email him: emasseysports@gmail.com.